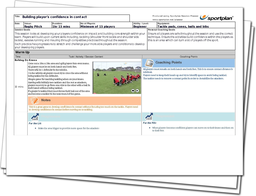 Build your player's confidence in contact as we work on a number of key areas, including tackling and mauling, helping to improve the core strength of your team. Help your players to not shy away from contact in your matches! With the use of a number of highly competitive practices, get your team building on their current skills, focusing on tackling - such as the shoulder front tackle - and evasive action. 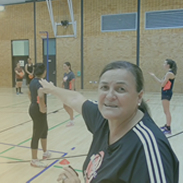 It is essential that your players are safe when performing these skills so ensure that they are using the correct technique, to not only prevent any injury, but to improve on these skills in the right manner. Work on your team's confidence today and stop the opposition in your next match!